1. 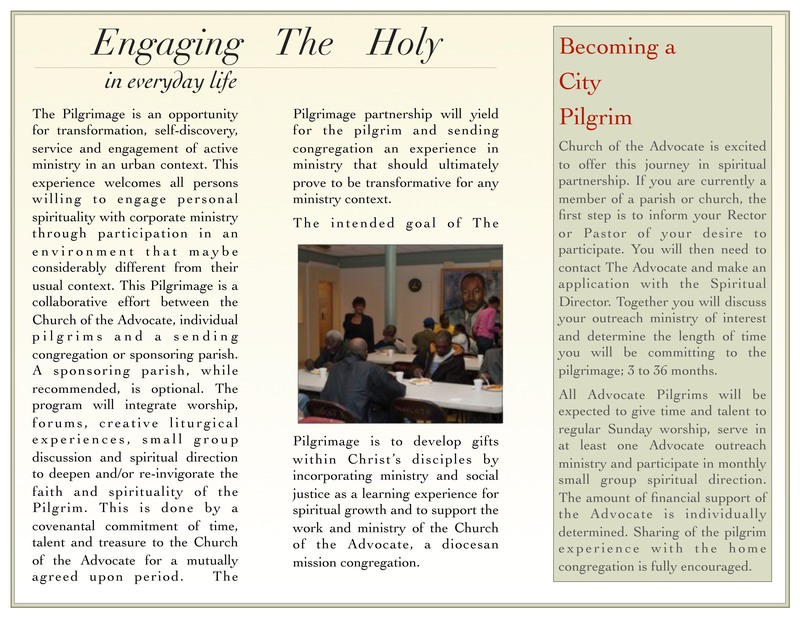 What is the Pilgrimage at the Church of the Advocate? 2. Why might I consider becoming a Pilgrim? 3. What would be expected of me? 4. What can I expect from this experience? 5. I already have a home church. Now what? 6. I have always wanted to do spiritual direction. How will this work? 7. What are the possible service opportunities? 8. 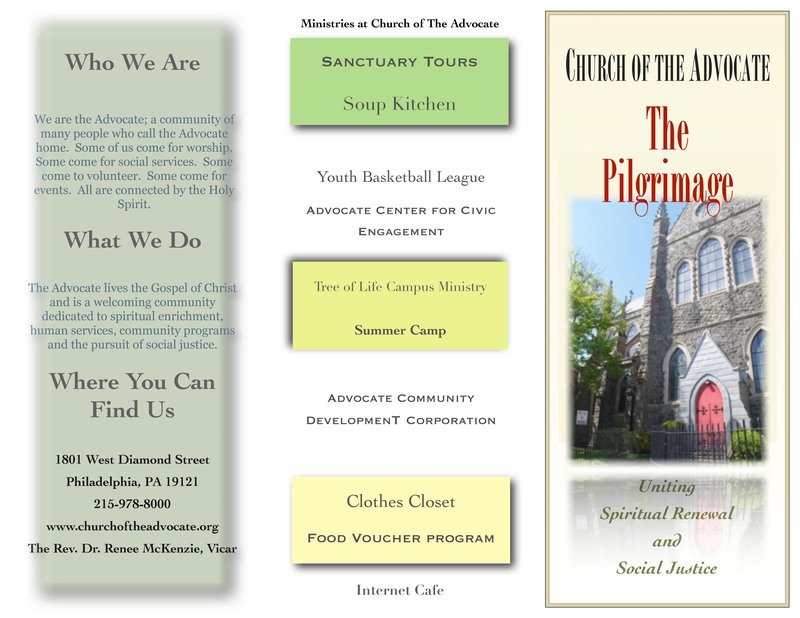 What's the relationship between spiritual renewal and social justice? Why is it important? 9. How long is the commitment? 10. I have a full time job in addition to other commitments already. What then? 11. I'd like more information. What would be the next step?